The tablet is available on HomeShop18 and comes with a 7-inch display, 1GB of RAM and runs Android Kitkat v4.4.2. 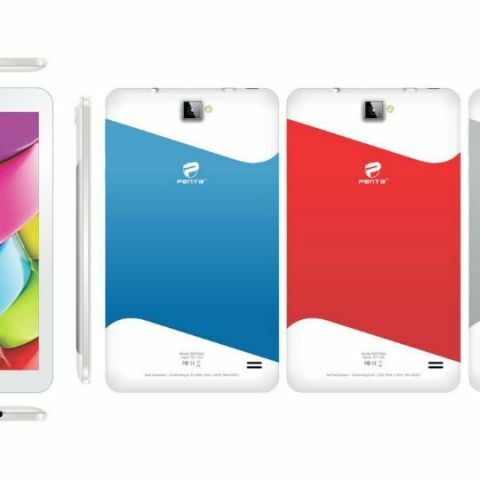 Pantel Technologies Private Limited has launched the Penta T-Pad WS704Q for Rs. 5,999. The tablet is available on HomeShop18 and buyers have a chance to win a free keyboard with their purchase. The tablet has a 7-inch display with a resolution of 1024x600 pixels and is powered by a 1.3GHz quad-core CPU. It has 1GB of RAM and 8GB of internal memory and runs Android KitKat v4.4.2. The device has dual SIM capability with both slots capable of 3G. At the back is an 8MP camera while at the front is a 5MP camera. As compared to previous tablets by Pantel Technologies, the Penta T-Pad WS704Q features better battery life and a smarter design. Dream of Digital India campaign is to make everyone connected by making technology available to every household and helping everyone getting connected, Pantel Technologies Private Limited (PTPL), a pioneer in devising low-cost tablet PC(s) takes this forward by launching their latest 7” tablet Penta T-Pad WS704Q 3G on Homeshop18. Penta T-Pad WS704Q 3G is the best Android based tablet in the 7-inch category with amazing camera quality for budget buyers at an unbelievable price of Rs.5999. So don’t miss watching the launch show on September 10, 2015 at 8:45 PM as lucky customers will also get a chance to win a bike or a tablet by placing an order. HomeSHop18 customers will also get a free keyboard with every purchase. Penta T-Pad WS704Q is high resolution (1024*600), 7-inch multi touch screen, 1GB DDRIII RAM and 8GB external memory with latest 1.3GHz quad-core CPU and a powerful GPU. Penta T-Pad has built in dual SIM slot (3G+3G) with Android 4.4.2 KitKat. Penta T-Pad WS704Q comes with Dual Camera experience designed with 8.0MP (Rear)+ 5.0MP (Front) with AF. The Tablet comes up with other features like HD and IPS screen and metallic finish. Additional attractive feature of the Tablet is that keyboard and T-Pad body are colour coordinated. Compared to the previous Tablets of Pantel Technologies, the new modelPenta T-Pad WS704Q features a better battery life and smarter design. The tablet also comes with LED flash. Mr.Vijender Singh, MD of Pantel Technologies quoted “we have launched Penta T-Pad WS704Q to promote digital India campaign. We want our products to reach one and all without compromising on their budget. We have collaborated with Homeshop18 to make shopping experience for our customers memorable. Is cooling pad necessary for laptop?